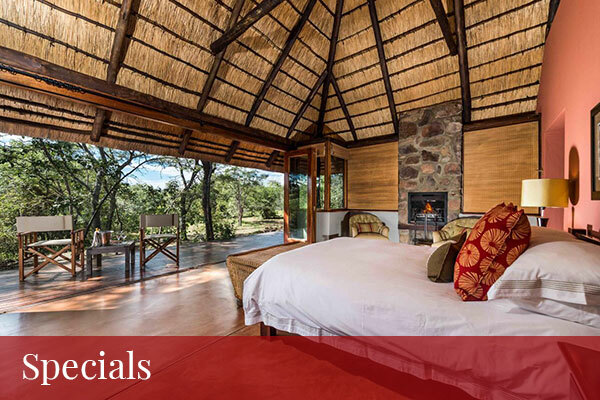 Welgevonden Private Game Reserve comprises 37,000 hectares of diverse landscapes and geology and a plethora of South Africa’s most stunning wildlife in the heart of the rich ecosystem of the Waterberg District in Limpopo. Aptly, Welgevonden translates as ‘well found’. The reserve first became a conservation area in 1993, consolidating a number of private farms, removing internal fences and returning this amazing area to its original natural state. 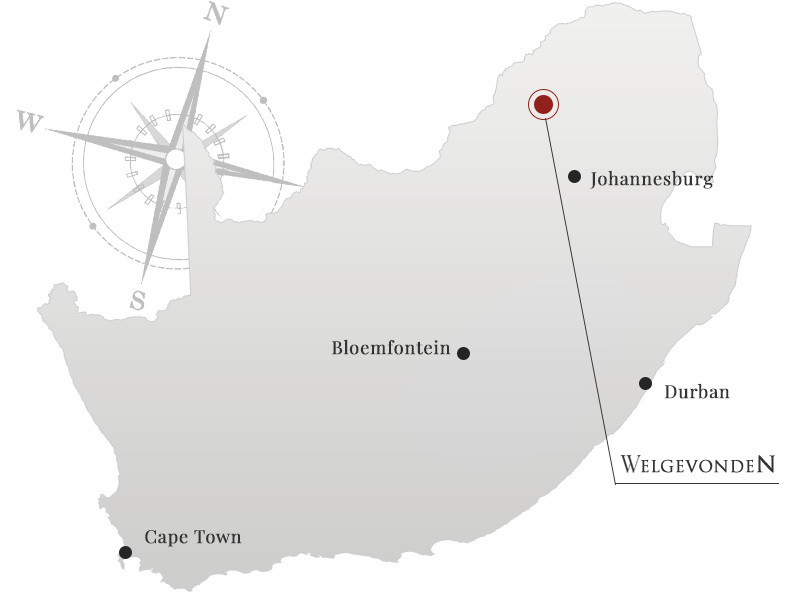 Welgevonden is entirely malaria free and just an easy 2 and a half hour drive or 45 minute flight from Johannesburg, making it one of the most accessible premier wilderness reserve in the country and a fast and unique means of escaping the hustle and bustle of the city. There are now a handful of spectacularly luxurious, secluded and sustainable lodges within the reserve, most of which are limited to a maximum of ten guests and have been built with the strictest aesthetic attention to the surrounding environment. All Welgevonden’s lodges offer a range of game drives, activities, fabulous vistas and first rate facilities and service including the best food and wine that South Africa has to offer. Welgevonden is home to over 50 different mammals including the Big 5. 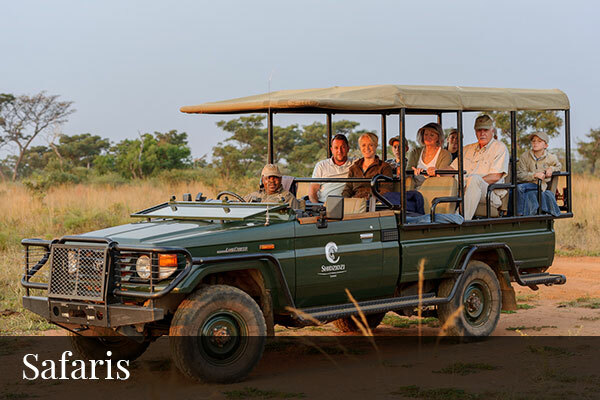 The reserve has one of the largest populations of white rhino of any of Africa’s private reserves as well as kudu, giraffe, zebra, warthog, cheetah, brown hyena, the honey badger, close to 300 bird species and a whole lot more. At the same time, the restricted number of vehicles allowed in the park and the fact that the animals have never been hunted means that the they remain largely unphased by human proximity, allowing for particularly close and personal encounters. Found in the Waterberg plateau, Welgevonden borders with Marakele National Park and is a stone’s throw from Nylsvlei Wetlands. The region’s scenery and topography ranges from broad rolling hills to magnificent red sandstone cliffs, perennial rivers, open plains and savannas. The Waterberg also has a rich human history, as evidenced by two San rock paintings dating back hundreds or even thousands of years that are found within Welgevonden. 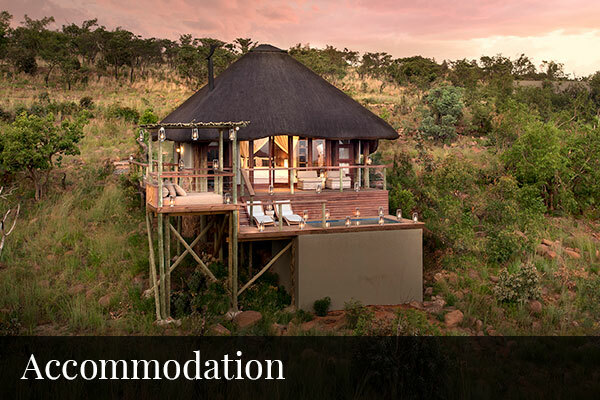 Book now for an unparalleled wilderness adventure at Welgevonden Private Game Reserve.